No need to be an optician or ophthalmologist to enjoy this wrymedical anatomical design featuring the eye. 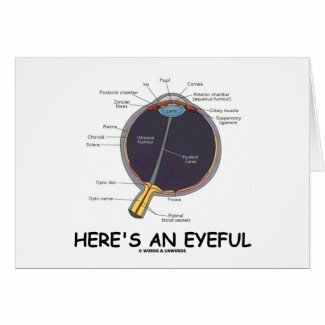 Includes all important parts, including cornea, retina, and vitreous humour. 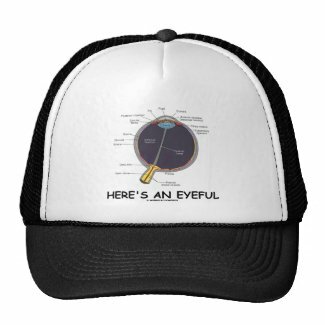 Common truism saying says it all: "Here's An Eyeful". 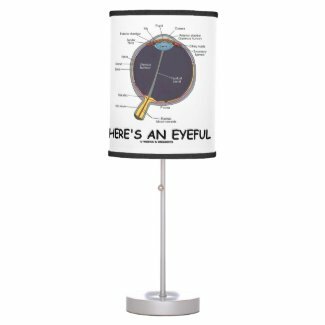 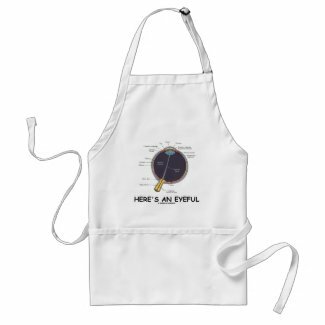 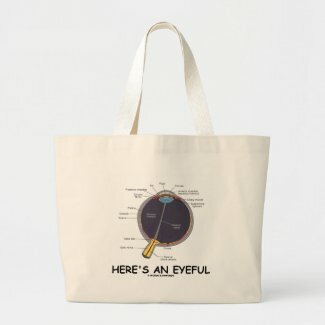 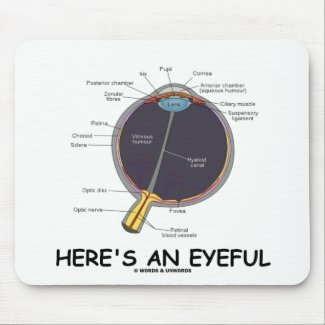 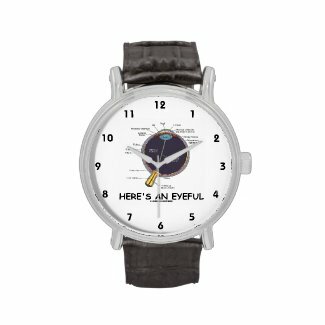 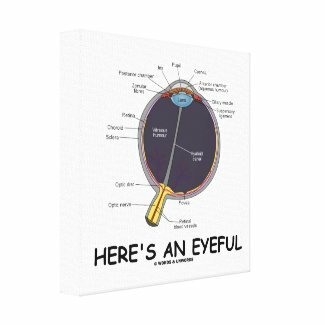 Make everyone do a double-take with their eyes with any one of these educational scientific eyeball humor gifts!